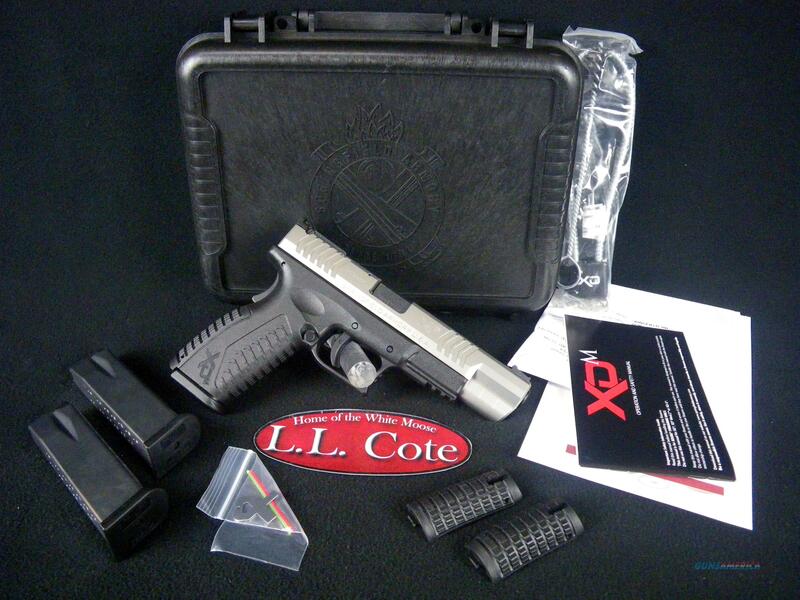 Description: You are bidding on a Springfield XD(M) Competition in 40 S&W with a 5.25" barrel. Share The XD(M)® pistol from Springfield Armory® redefines what a polymer pistol can be. The XD(M)® has everything you want and need in a pistol – superior ergonomics, reliable performance, and features that make it easy and intuitive to use. The XD(M)® 5.25? Competition Series is the right pistol for those who are ready to step up their game with a pistol built specifically for competition. The XD(M)® 5.25? Competition Series has the longest slide and barrel of any XD(M)®, which maximizes accuracy, controllability and sight radius. Speaking of sights, the fully adjustable rear sight and fiber optic front sight allow for startlingly fast sight acquisition. The lightening cut in the slide reduces reciprocating mass which allows for faster cycling and allows a larger variety of loads to be used. Add in more XD(M)® features – a match grade barrel, minimal-reset trigger, and mega-lock frame texture – and you have a serious competition pistol that’s ready to help you bring home first place. Displayed images are stock photos. Any questions please feel free to ask (our phone number is in the additional information tab above).